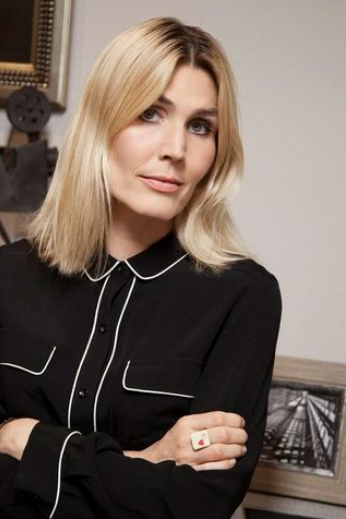 New York Film Academy Los Angeles MFA Producing Alumna and Director of Admissions Ragga Thordarson was recently spotlighted in leading Icelandic publication Morgunblaðið for her impressive roster of accomplishments as a filmmaker, artist, and educator. Originally hailing from Iceland, Ragga has mastered many transitions: between nations, between careers, and between student and professional life in the film industry. Check out her inspiring insights, below. RT: I am Icelandic-American, born in Reykjavik (Iceland´s capital) and raised in a small fishing town in Iceland called Stykkisholmur with a population of 1,000 people until I was almost nine. I then moved to the States and have lived extensively in both places. I grew up in the San Francisco Bay Area and in the Los Angeles area (moved a lot). When I finally came to NYFA, I had been working in TV and radio in Iceland for several years (hosting several shows) and I had been thinking about going to graduate school for some time. I kept coming back to the idea that I wanted to go back to school. Although I had a career which involved a few years of broadcasting and producing and had made and directed one film (a documentary called “From Oakland to Iceland”), I wanted to learn more. I was essentially a self-taught filmmaker and producer, and felt there were some elements missing from my film education. School was the answer for me in that regard. I also happen to love school and being a student, so college and graduate school have been some of the most rewarding times of my life. NYFA: What was it like moving to the U.S. from Iceland? RT: The immigrant experience definitely marked my life. I didn’t speak a word of English until I was nine years old. I remember being in a Montessori School classroom all of the sudden and not really understanding anything, but within three months I was speaking English pretty well. I also went from walking to school in Iceland in the dark in a snow suit covered from head to toe all by myself to wearing shorts and T-shirts in Berkeley, and being driven everywhere. We were more on our own in Iceland, there is a lot of freedom there for kids. Here everything was bigger and there were more moving parts; bigger cities, skyscrapers and freeways, more rules and regulations, more people! These are different worlds. It is great to be able to experience different cultures and then the interesting part is that when you grow into a bicultural individual you take parts of each and then that becomes the evolved version of you. Certain sensibilities are very Icelandic and others very American for me. Also, I don’t have an accent when I speak English, so often people assume I´m from here … but I grew up in a household speaking Icelandic and celebrating Icelandic customs. My brothers and I gravitated toward and had friends that were also from bicultural households, Iceland, Iran, Thailand, East Germany, Romania, Tanzania. NYFA: Do you have a favorite NYFA moment from your time as a student? And now, a favorite NYFA moment as part of our staff? RT: I had many such moments while studying at NYFA, most which involved me learning something new. Screenwriting classes are really where I found my producer voice as creative producing is my favorite kind. My top favorite moment was likely when I finished my thesis, it was definitely thrilling, and when my $500-budget sketch “Carlos & Brandi,” that started as a class project, was featured on Funny or Die´s front page. I also loved the pitch fests in the producing program. I met people there that I ended up working with later on, so the networking really started in school for me. Those were important moments that turned into relationships down the line. As a staff member, I always enjoy the feedback from excited students that are coming into the programs. When I read pieces about countless former students that I remember running around campus that are out there doing well in the industry, that is always inspiring and makes me happy. NYFA: What advice can you give to fellow NYFA students who are adjusting to life in the U.S.? RT: I think being open-minded and a little bit outgoing, frankly, is important here. It is such a large, diverse market and environment (at least compared to Iceland). In order to create relationships and opportunities here I found just good-old taking initiative was the way to go. Also, seeking out like-minded people who are in the same adjustment phase or have similar goals. Building a little community around oneself is great, and school is the perfect place to start. NYFA: What do you think is different about working in the arts in the U.S. in particular? What should international students do to prepare? RT: There are differences both as far as content goes (some of the stuff in Iceland would probably be considered more “arthouse” vs. commercial, etc.) [and in the market size]. The U.S. market is so big and there are scores of people from all over the world trying for the same goals, so it´s hard work. When possible, show up early, stay late, don´t complain, and be easy to work with. Always keep your word with or without what you consider having success, which rarely happens overnight. Focus on the craft, the art not just on the end goal. It´s easy to caught up in a game of comparisons, but I say focus on the work itself. NYFA: You went back to study at NYFA after living a little life out in the workforce. What was your experience like going back to NYFA for continuing education to make a career shift? Why did you pick NYFA? RT: The New York Film Academy had a philosophy that I connected with: the hands-on approach. The do-it-yourself Icelandic part of me definitely found that appealing. The thought of graduate school had been looming for a long time, as I felt I was missing some stuff being a self-taught filmmaker and I wanted more knowledge. Also, I liked that the teachers are industry professionals, and they were truly the best part of my NYFA experience. I still see some of the producing, screenwriting and film instructors around that I connected with, and it really marked my time here. The instructors truly are phenomenal. NYFA: What inspires you in your creative work? What kind of stories do you want to be a part of telling? RT: I write and produce comedy when I am doing my own stuff and have done producing and consulting of various kinds of projects for others, or as a freelance producer. If I really look at the stuff I´ve made personally, most of it is a bit female-centric and in fact a lot of it is about my bi-cultural life experiences. The Scandinavian sarcasm and cynical humor is definitely visible in there too. NFYA: What advice can you give to our students who, like you, are passionate about a profession in the filmmaking industry, while also juggling parenting? RT: Before we have families, working up to 17-hour days at something is entirely possible and it is something I personally did for years. After kids, it’s all about balance. Having said that, some days are longer than others and obviously production by nature is time consuming. It´s about time management and truthfully perhaps some things you did before you simply won’t do unless you can make it work on multiple levels (appropriate assistance with childcare, etc.). I say write for your budget and according to time while in film school! I.e: Shooting minimal amounts of locations, etc. Anything to simplify production without compromising the material. The New York Film Academy would like to thank Ragga for taking the time to share a bit of her story with the NYFA community. Ready to learn more about filmmaking? Check out our many programs at NYFA.